1927 Cram's Official Paved Road Map of East Central States. From Harold Cramer's Maps of PA web site. 1927-28 Clason Touring Map of Ohio and Pennsylvania. 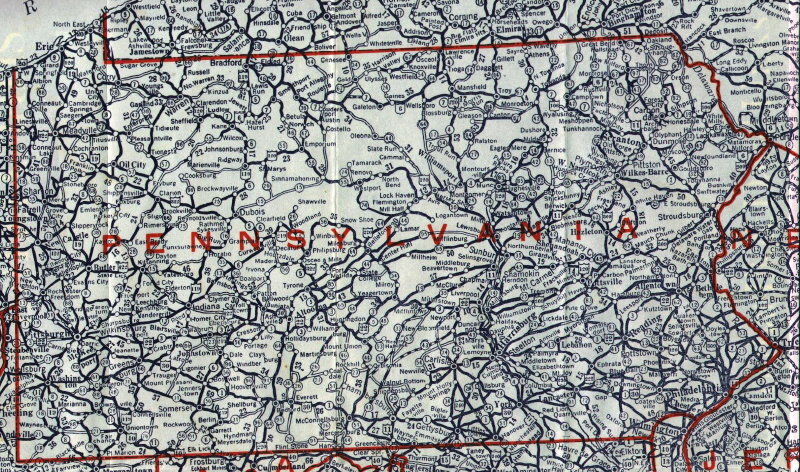 From Harold Cramer's Maps of PA web site. 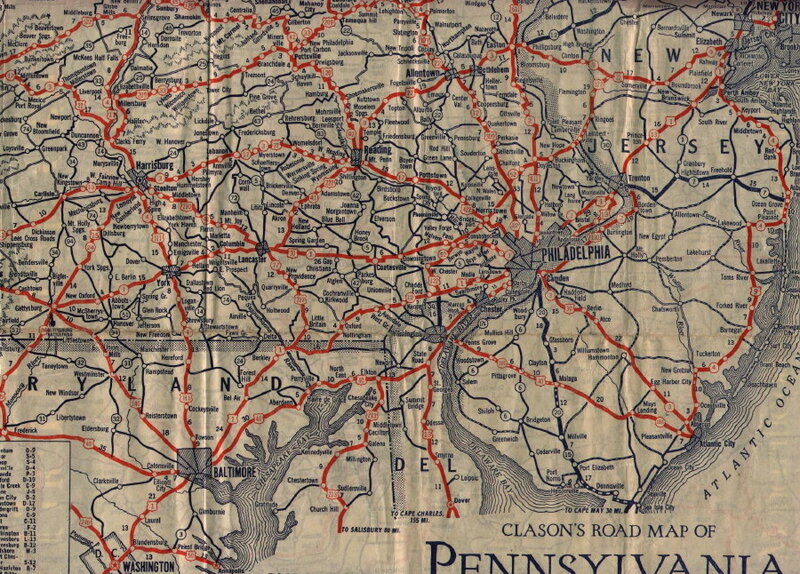 1929 Pennsylvania Road Map from Pennsylvania Highways, a travel magazine published by the Pennsylvania Department of Highways. From Bruce Harper's Roads of Virginia, Pennsylvania, and Pittsburgh web site. 1963 Allegheny County Map from a 1963 Gulf Pittsburgh Tour Guide. From Adam Prince's Southwest Pennsylvania Roads Project. Various PennDOT Official Transportation Maps: 1934, 1941, 1976, 1987, 1993, 2000, 2002. PennDOT County Type 10 Maps: 1999, 2000, 2001, 2002, 2003. Ohio Department of Transportation Online Archive of Maps, 1912-2001. Various current and historic topographical maps available at the TerraServer and MapTech. Pennsylvania Highways by Jeff Kitsko. In particular, the Interstate Highways, Decommissioned Interstate Highways, US Highways, and Decommissioned US Highways sections were very useful. The 'Logic' of the Commonwealth Route System by Gene Yao, Steve Walter, and Adam Prince; part of Adam Prince's Southwest Pennsylvania Roads Project. Penn-York Roads by Kevin Olmstead. Meadville Area Highways by David Brunot. Highway History articles. From the Federal Highway Administration web site. In particular, The William Penn Highway discusses details of the 1920s numbering. North American Auto Trials, by Dave Schul.